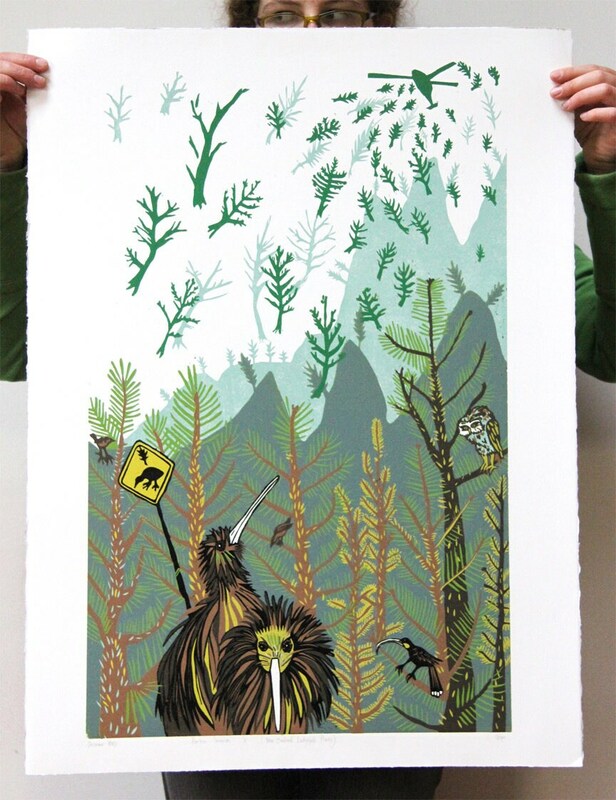 This original hand-pulled color-reduction woodcut features falling pines and confused fowl. 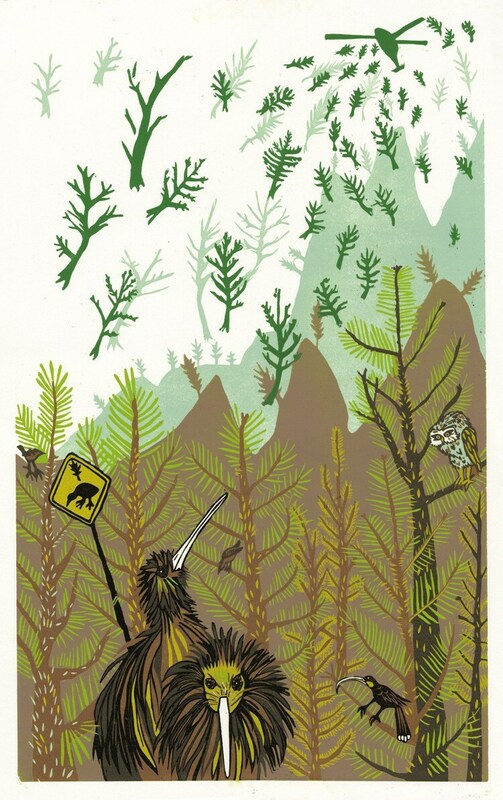 The title is "Pinetree Invasion"
People thought the New Zealand hillsides were eroding away, so they dropped Lodgepole Pines from helicopters in order to 'preserve' the landscape. 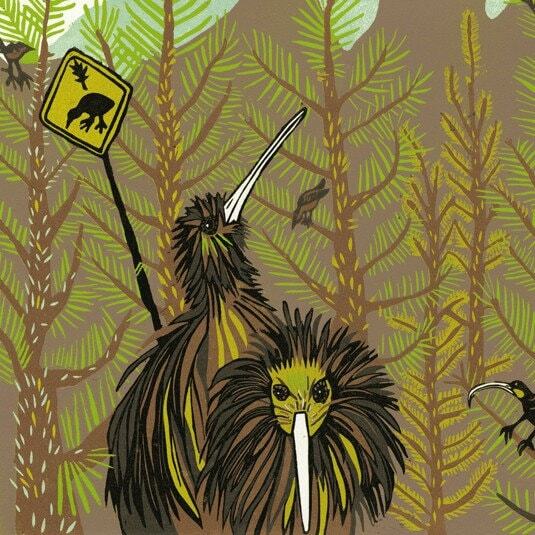 What ended up happening in reality was the trees loved New Zealand and spread like wildfire across the country and now are considered a pest. I have 2 color schemes of this woodcut, one has a "bluer" mountain and the other has a more "purple" mountain. Please send me a convo and let me know what color mountain you prefer. Image size 27.5" x 17" Paper size 30" x 22"